For the past 25 years, Marty Haugen has presented hundreds of workshops and concerts across North and Central America, Europe, Asia and the Pacific Rim. A number of his published songs, including Gather Us In from the Anthology 1 CD, and All Are Welcome from the title CD are well-known to many religious denominations. 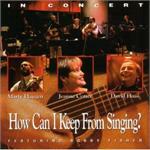 Haugen collaborated with David Haas and Michael Joncas to record the Come And Journey Concert CD. Marty has a number of published mass settings including Mass of Creation. 12 songs to celebrate stewardship of the Earth from a faith perspective. Includes: No One Can Own The Wind, God Is Present, and Deep Peace. Includes: God Is Still Speaking, This Day God Gives Me, As We Gather at Your Table, and God Sends Us Forth. Includes: All Are Welcome, Unless You Learn, Abundant Life, He Came Down, and The Hand of God Shall Hold You. 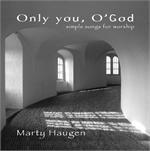 Simple Songs for Worship by Marty Haugen. Musical Stories from the Gospel according to St. John. Includes: Shepherd Me O God, Song Over the Waters, Now in this Banquet, and God of Darkness! Includes: Salaam Aleikum, Who Will Speak?, World Peace Prayer, La Paz de la Tierra, and This Is My Song. 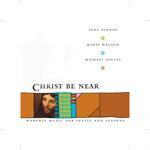 Includes: Let Us See Your Face, My Soul Proclaims, Te Deum, and Come Let Us Sing for Joy! Includes: God of the Sparrow, The Hand of God Shall Hold You, and All Are Welcome! Includes: Who Will Speak?, Song at the Center, and Halle, Halle! 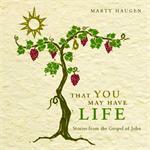 Includes: You Are Called to Tell the Story, Where Your Treasure Is, and Bread of Life from Heaven. Includes: Canticle of the Sun, Eye Has Not Seen, We Remember, and Gather Us In.